We proudly work with more than 400 partner agencies throughout our 11-county service area. Our partners include food pantries, homeless shelters, senior centers and six Partner Distribution Organizations (PDOs). We acquire food in a variety of ways for families in need. 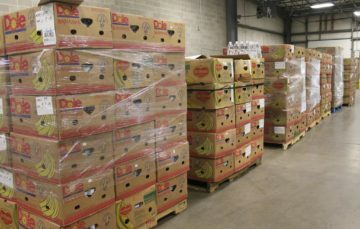 This food is either picked up or delivered by our partners weekly, or we directly distribute it to families in need.